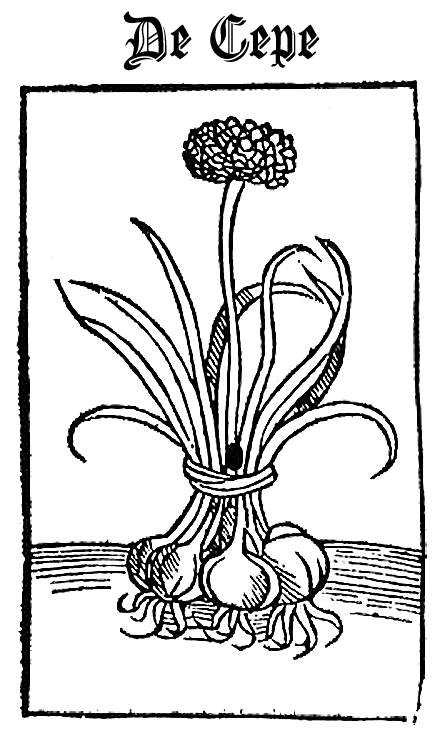 Onions desire loose, fatty [clay] and optimally worked earth [a fine tilth]; when threshed, its seeds last only one year, but when suspended in the skins/shells they last for three years without damage. Some people, especially all those around Tuscany, sow them around the beginning of the month of November. A seed cover shall be made on top of them, almost like a pergola and covered by some straw, distanced from the ground the length of an arm and directed towards Aquilone [shelter from a northern ‘tramontane’ wind], and the length of two arms towards midday [the south]. Many are those who sow them in the months of December, January, February and March as soon as they can be sown after winter, and are sown alone in ridges [raised ridges for drainage]. They can be also sown along with other herbs. And when they have grown, may this be April, May or June, they are transplanted in the open field [like onion sets], distanced from one another by either a sommesso [the width of a fist] or a hand span. And they must be arranged in four lines in the ridge. When you need to plant out onions, it will be good if you cut their roots off, about the length of a finger or half-finger from the onion, then put them only one finger down into the ground; because these plants take root so easily that, if they were to be just laid on the ground, or were to fall on it, or were to be brought to far uncovered areas, or planted in earth that is almost dry – as long as this is well reduced to powder – they will germinate and grow optimally. They desire to have their surroundings hoed often and cleared of all weeds. And if the earth has not been manured in that same year, then you shall manure it at the time you plant the onions so that they can take root properly. Onions are hot and moist in the third degree [to drive out heat and relax the body] and if eaten often, their acidity generates bad humours in the stomach, thirst, bloatedness and wind, they give headaches, and make one crazy due to the vapour that rises to the head hitting the brain [believed at the time]. So, those who eat them often, become crazy and have terrible and melancholic dreams, especially when onions are eaten by those who have just recovered from some disease. When eaten raw, they do not give the body any nourishment; however, if simmered, and the first water is thrown away, and then they are cooked again in new water, they give good nourishment, or very good especially if dressed with a very fatty meat and a good fragrant dressing. If taken raw in a mild way as a medicine, they heat up and cut the big and viscous humours, open the mouths of blood vessels, prompt menstruation and urine, enhance appetite, and provoke lust thanks to their heat and moisture. If their juice is put in the nostrils, or if their smell is inhaled through the nose, they will clean the head optimally. 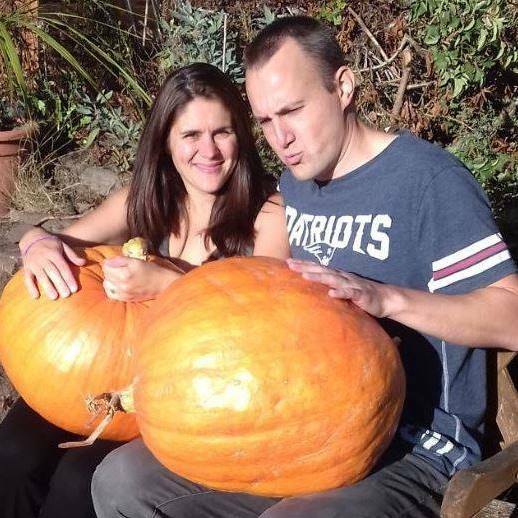 When eaten raw, they make the hair grow. Avicenna [Persian mathematican] says that in the onion there is an acute sharpness, bitterness and [it induces] constipation [possibly IBS in my experience], and the one that is longer is also more acute; the red one is more acute than the white one [again red onions are worse for my IBS than white], the dry one more than the moist one, and the raw one more acute than the cooked one. It has the virtue of pulling the blood out, this is why it makes the skin red. When eaten, it is also useful for fighting damage caused by water. Its seed cleans the dirt of the skin: and when it is rubbed around the place where there is alopecia it is very good. If mixed with honey, it removes warts. Great use of onion generates illness in the head known as suber [no idea]. Lastly, onions are amongst those things that are bad for the intellect, since it creates bad humours.